The LXDE and Fluxbox editions of Linux Mint 7 were cancelled. Clem is now working full time for the distribution. October 2009 was the (8th consecutive) best month ever since the creation of Linux Mint. The overall income is up 8%. Our user base is the second largest in the desktop Linux market. The community support has never been so big. 147 people gathered to send us more than $3,800! We also got a single donation of $461 from Einar Orn Eidsson (Iceland). This has never been so high. In terms of events this was a very quiet month. We’ve been working hard on the new upcoming release though and there will be plenty of reasons for people to get excited about Linux Mint 8. November will be eventful and I hope this will please the community, especially after seeing how much it’s been supporting our project. Many thanks to all the donors and sponsors behing Linux Mint and congratulations to them, to us and to this project for another fantastic month. The LXDE and XFCE editions of Linux Mint 7 were cancelled. Uhm really? I think there is a Linux Mint 7 XFCE CE http://www.linuxmint.com/pictures/screenshots/gloria/xfce/gloria_xfce.png here? I love Mint ever since my very first install (Gloria). Mint was perhaps the distribution which I have used the longest time ever. I am looking forward to Mint 8 KDE Community Edition. Clem meant the LXDE and Fluxbox Editions for Mint 7 have been canceled. Mint is just awesome. Thanks to Clem and the team for this marvelous distro. I have to agree with IsaoHK. I have used Ubuntu and Kubuntu for a while, but Mint 7 is my Distro of Choice. I have got my wife off MS and on to Linux finally after 3 years of trying and I rarely boot into Ubuntu or Kubuntu now. Mint 7 seems to work out of the box without much tweeking… If it does not, the forum helps me out all the time…. Donors and Sponsors: thank you very much from the botton of my heart. Thanks a lot for your generous (Great!) donation. God Bless you. Mint is awesome, but out of curiosity, is there some place I can read the project budget report to see how the donated money is used? “Money raised in August” should also be corrected. It’s October. I have to say I simply love Gloria! Keep doing a great job! But i wonder what time Linux-mint 8 published? i know on November. Day what? Gnome-Do has fatal exception errors in the Karmic repositories for 32-Bit…I had to switch to Avant, which isn’t nearly as intuitive. With regard to fhein´ s (post 12) comment. YOU YOURSELF SAID LINUX MINT IS AWESOME. That is how the money is used!!! Just out of curiosity, what makes you such a snoop? From: A VERY SATISFIED USER!!! Mint DEVS usually use raised money to party all over the world, drink gallons of whisky, tequila and vodka (with energetic drinks) and spend nights with lot of girls. You may think “Umm, that’s too much, even for the lot of money they get”. Well, you must know the DEV Team have theire wives and sons working on asian massive factories building sneakers and the money they got of that work is used by theire husbands/fathers to keep partying all over the world – wives and kids all sleep in the same bed when the other is awake working. 2. hangover let them assist. Hope I contributed to clarify you how the money is spend around this place. Love Mint 7 and waiting eagerly for 8! Also a distro like Mint made me WANT to donate! Its just Awesome! Keep up the good work! 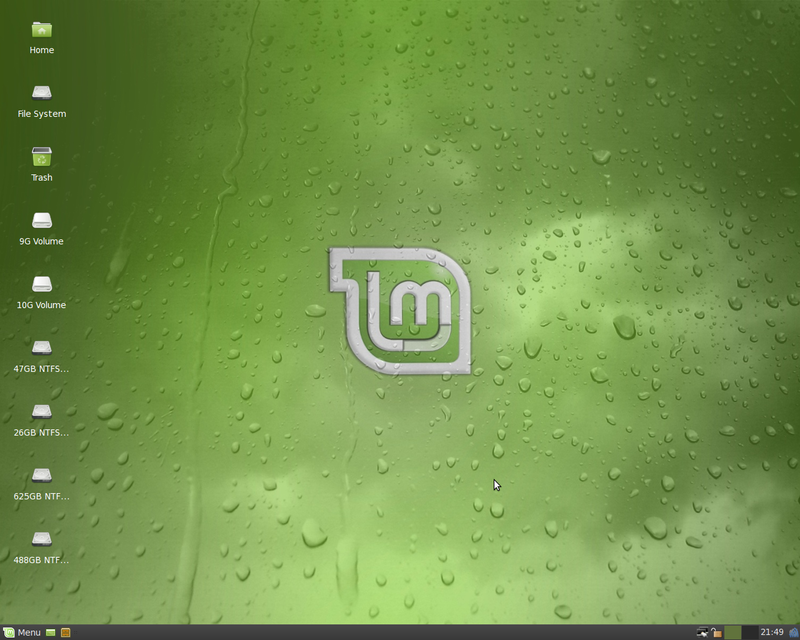 I am eager to try Linux Mint. I’ve used Ubuntu before, but never lasted long. I wish to be able to create or be part of an organization like Linux Mint, it is totally awesome what you guys do! Soon to be Linux Mint lover? I want news about Mint 8!! What is the release date off Mint 8 ? Hope soon, the new ubuntu is very fast, unfortunately is the same ubuntu design that I don’t like.. Hehehe..
Linux Mint works great on my MSI netbook. Barely had to change anything.